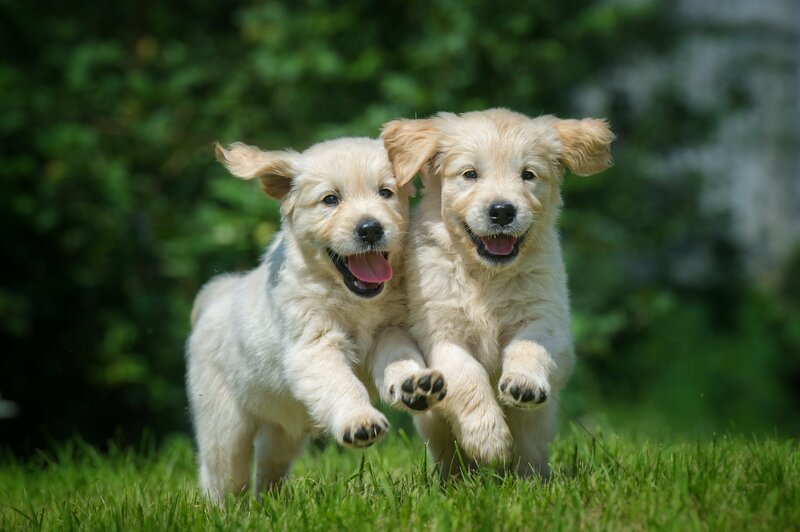 A unique formulation of digestible rice, omega 3 and 6 fatty acids, fiber and probiotics to support the digestive tract of dogs developed by a veterinarian and pet food scientists. 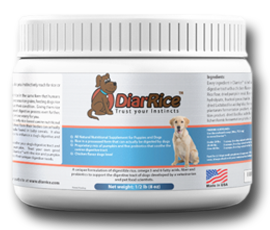 Diarrice™ is the patent-pending breakthrough formulation of rice and probiotics developed by a veterinarian and pet food scientists to address the specific needs of dogs that are experiencing the discomforts of diarrhea. Get DiarRice now or read on to learn more about how and why DiarRice works so well! 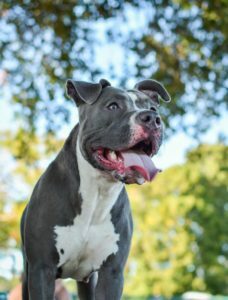 Many people trust their own instincts and give their dogs rice from their kitchen pantries thinking that ‘if it works for me, it should work on my dog’. Unfortunately, rice that is sold in grocery stores for human consumption is usually in whole grain form – which dogs cannot digest. Their sensitive digestive tract is not able to process these grains, leading to even more stress on their already irritated GI tract. 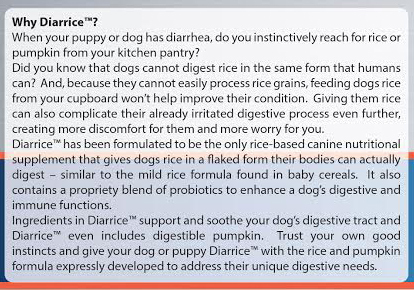 Diarrice™ gives your dog everything their gut needs to restore a healthy and balanced digestive system. Diarrice™ is packaged with its own scoop (20cc, 725 mg) to accurately measure each serving. Feed for 2-3 days until symptoms disappear. If symptoms last more than 2-3 days, see your veterinarian at once. Diarrice™ can be stored at room temperature. Must be kept dry until served. Mix Diarrice™ with canned food. You can add water to Diarrice™ to blend better with dry food, however it can be enjoyed dry as dogs love the chicken flavor! 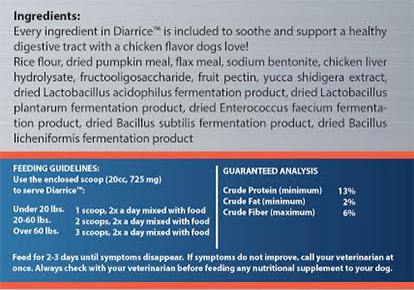 Every ingredient in Diarrice™ is included to soothe and support a healthy digestive tract with a chicken flavor dogs love! Rice flour, dried pumpkin meal, flax meal, sodium bentonite, chicken liver hydrolysate, fructooligosaccharide, fruit pectin, yucca shidigera extract, dried Lactobacillus acidophilus fermentation product, dried Lactobacillus plantarum fermentation product, dried Enterococcus faecium fermentation product, dried Bacillus subtilis fermentation product, dried Bacillus licheniformis fermentation product.